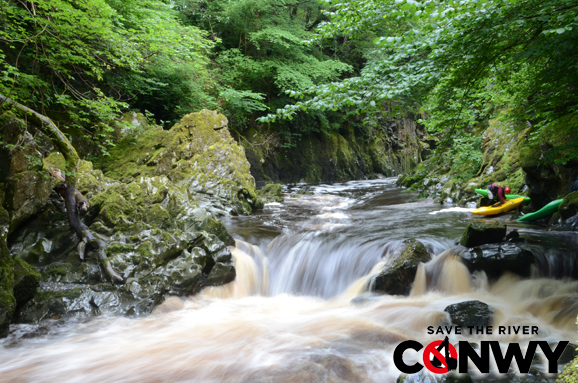 Save the Conwy – Action required! 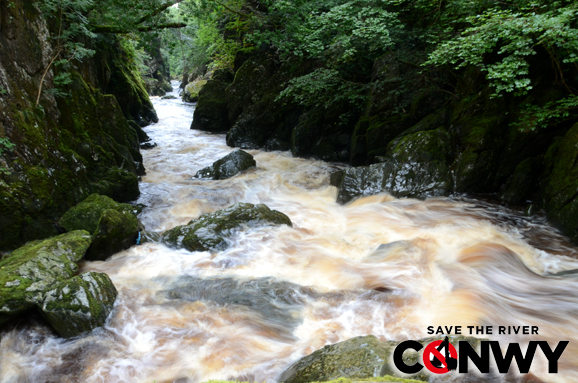 RWE are planning to install a hydro scheme on the river Conwy near Betws-y-Coed in North Wales. 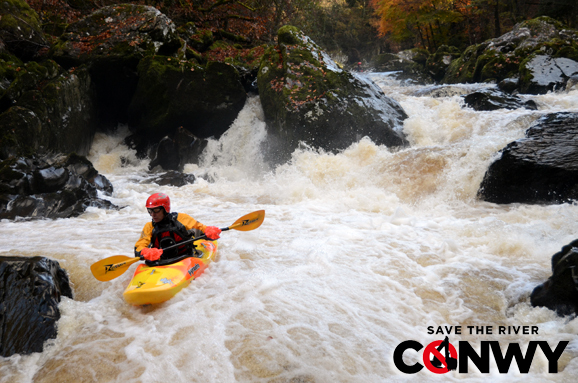 The plan is to abstract up to 6m³/s of the water in the Conwy, above Penmachno bridge, and divert it through ~2km of pipelines before returning it below the confluence with the Lledr. This section of river is known as “Fairy Glen”, and is a name well known to most kayakers across the country. 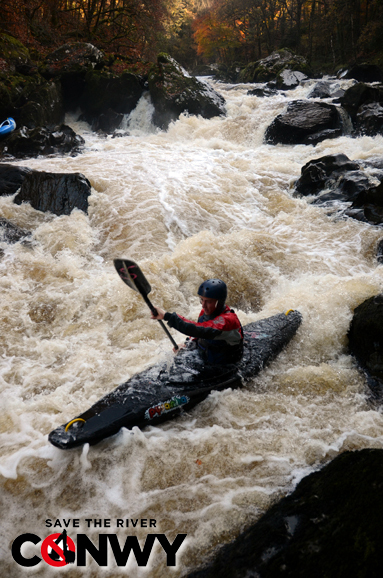 Once cited as the test-piece of UK kayaking, it has become increasingly accessible over the years as skills and equipment have improved and it is now an established benchmark to which a generation of whitewater kayakers aspire. The river only needs a little over 10m³/s of flow to make it possible to kayak, so an abstraction of 6m³/s will have a significant impact on the number of days the river is “flowing”. 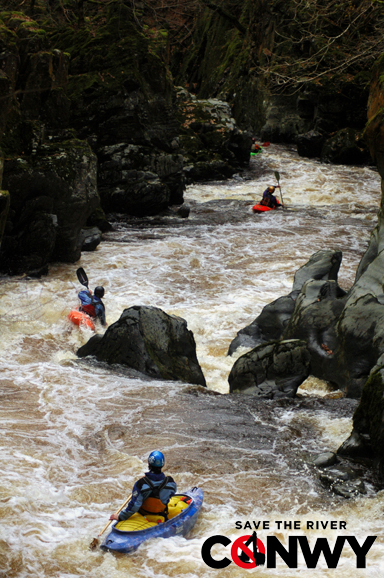 In fact, the Fairy Glen is unique in the fact that it is often the only river of its grade flowing on any given day, so the hydro scheme will not only reduce the number of days ‘the glen’ can be paddled, but it will reduce the number of days that any river in North Wales can be paddled. I’m convinced that without subsidies this scheme would not be viable. I’m also sure that with your help we can stop this scheme from happening. Please do all you can to help! Showing the river is just as suitable for canoes as kayaks at the 2009 British Universities Kayaking Expedition Selection Event. Another drop in the ‘glen that would be affected by the hydro scheme.